Boston, MA — In today’s culture of political divisions and religious strife, Christian Scientists spoke at their church’s annual meeting of “a new spirit” emerging, which is calling forth the best in people across denominational and national lines. Medical ethicist Robert Veatch has suggested that there is no “single entity called medicine”. Instead, there may be as many different medicines as there are world views. Might I suggest that there may just be as many different individual spiritualities as there are world views, as well? 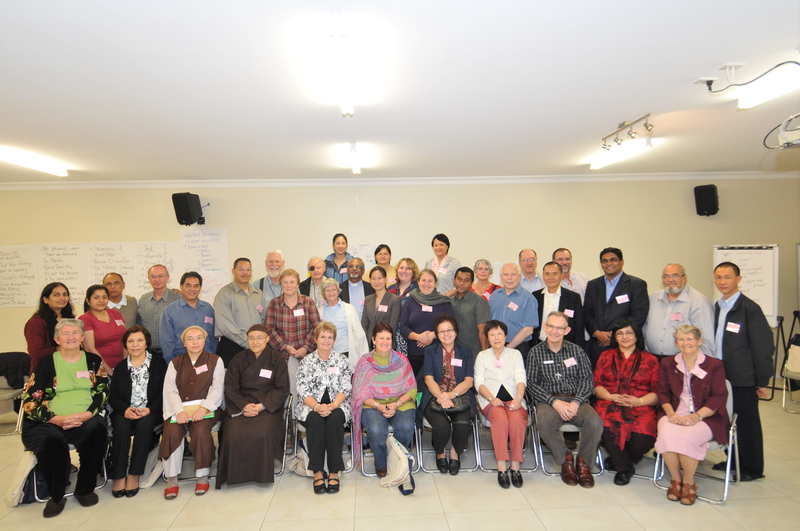 On Saturday I attended a Community Interfaith Dialogue Workshop run by the Buddhist Pure Land Learning College in Toowoomba. Not only was there representation from faith leaders from several Christian denominations and Buddhists, but also from Muslims, and those from theist, humanist, Hindu, Quaker, Unitarian, Wiccan, Sikh, Baha’i, Jewish and other faith traditions. Interfaith dialogue is not just about studying other religions, but the focus is on the relationships between diverse faith communities and individuals, and where intentional kindness and appreciation motivates communications. I learned that whether atheist, Muslim or Christian we share many of the same understandings about the divine, about the results of our thoughts on our experience, and about the healthy effect of morality and ethics; although often using different names for the same ideas. The groups with whom I shared activities were inclusive, willing to listen and genuinely happy to share their religious and spiritual experiences. I’ve found through this and other interfaith experiences that individual understandings are not always identical with an espoused faith tradition, but all are genuine seekers for truth. 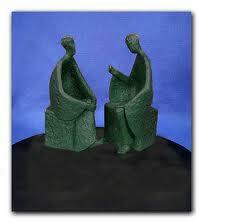 There may not always be changes of thought about theology but walls of misunderstanding are often shattered. Thinking on this very worthwhile experience, it came to me that there is a place for this kind of dialogue in relation to the many healthcare practices available to the public in Australia at the moment. No-one is, or can be, excluded from interfaith dialogue, and nor should any healing method be excluded through a lack of understanding about it. I’ve written many times about the increasing uptake by the community of complementary and alternative medicines today. It’s a hot topic as educators and researchers consider the ramifications for practice. One alternative therapy that sometimes meets closed minds amongst academics is spirituality and prayer. 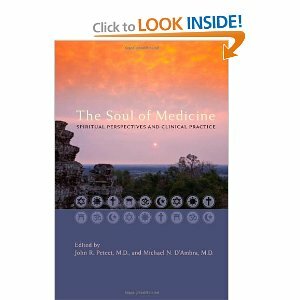 A recent book originating from academia, The Soul of Medicine: Spiritual perspectives and clinical practice (eds J Peteet MD and M D’Ambra MD, 2011), sheds new light on the history of the relationship between spirituality and biomedicine, and also the implications of this history for the practice of medicine today. The relationships of the major faith traditions to modern medicine are discussed as an aid to doctors seeking to understand their patients’ beliefs. The editors point out that “the dominant medical ethos does not take into account how philosophical and theological traditions shape medical practice”, and go on to say that it may be another generation before an integrated approach to healthcare is received and implemented. I agree that an incremental approach to this subject may be needed, and to that end I seek opportunities to explain the health benefits that I have experienced through my spiritual practice. Critics of the ‘religion, spirituality, and medicine’ movement have argued that the integration of faith and medicine is based on poor science, contributes to unethical medical practice, and is corrosive of religion. These are important objections requiring thoughtful dialogue among the medical and religious communities and in society at large. This book attempts to continue the dialogue by raising the fundamental issue of the nature of medicine. How do we understand medicine, health and disease? Are our physician scientists caught up in their own faith tradition of scientific positivism? The scientific literature on religion and health outcomes shows a positive correlation between a measure of religiousness/spirituality and health in a wide range of psychiatric and medical conditions (Handbook of Religion and Health, Koenig, King and Carson, 2012). Accolades to media outlets in Australia like The Conversation, which is ready to present results from a broad cross-section of health researchers in Australia. Their independent commentators from the university and research sectors have not been afraid to publish articles that continue the dialogue: Does religious faith make people healthier and happier? (28/12/11); Beyond spirituality: the role of meditation in mental health (19/1/12); and Chronically ill benefit from religion (27/10/11). Let’s keep the dialogue flowing.